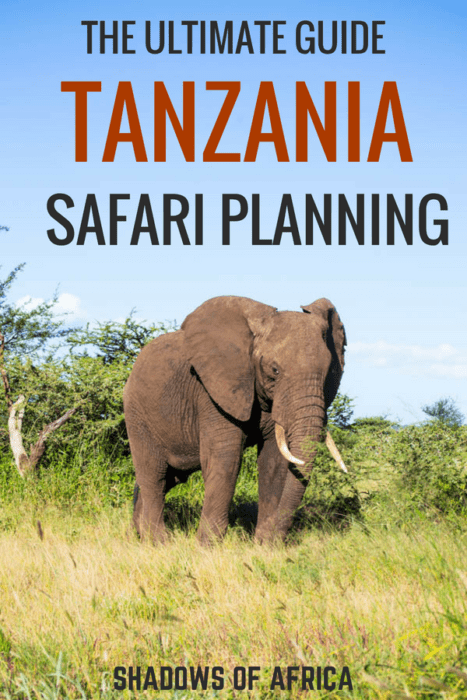 Planning a Tanzanian safari can be a daunting prospect at first glance. Figuring out when to visit, which parks to include, where to stay, and how long to spend in each location can be a stressful task, but we're here to help! This guide to planning your safari in Tanzania should give you plenty of inspiration for planning your dream trip, and you can always contact one of our safari experts to help make your plans a reality. Deciding which time of year to visit Tanzania can have a huge impact on not only which parks you should visit and what you will see on safari, but also on pricing. Named for the calving season of the annual Wildebeest Migration, calving season extends from December through until March and is most notable for the presence of the Wildebeest Migration in the Ndutu region of the Serengeti. At this time of year, tens of thousands of baby Wildebeest take their first steps and the herd remains in Ndutu to feed until it is time to head north. While hotels can be hard to find over Christmas and New Year's, calving season is nonetheless a fantastic time to visit Tanzania. Crowds are not as high as they are in peak season, but the weather is good and the guarantee of seeing the Wildebeest Migration in Ndutu makes it a great time to visit. Highlights: Seeing the Wildebeest Migration calving season in Ndutu. Drawbacks: Expensive lodges around Christmas and New Year's. The rainy season might not seem like a great time to go on a Tanzanian safari, but the lower crowds mean you'll have access to luxury lodges at a greatly reduced rate. While tented camps and camping are not ideal in the wet conditions, luxury lodges such as Serena, Sopa, and the Four Seasons are all much more affordable in the rainy season. 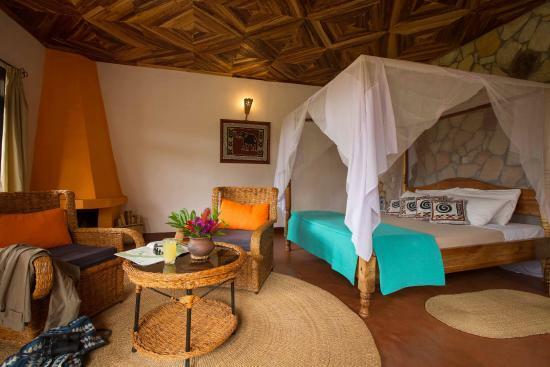 Highlights: Staying in luxury lodges in Ngorongoro and the Serengeti. Drawbacks: Rain means tented camps are less than ideal. Without a doubt the most popular time of year to visit Tanzania, June through September is characterised by the movements of the Wildebeest Migration from the Southern Serengeti to the Maasai Mara in Kenya. For those wanting to see the herd in motion and have the chance to witness a river crossing at Grumeti or the Mara River, this is the best time to visit. Of course, peak season also means higher prices and more crowds to contend with - but many find that the extra cost and crowds are worth it for the chance to see a Mara River crossing. Highlights: Chasing the Wildebeest Migration across the Central and Northern Serengeti. Drawbacks: Larger crowds and more expensive lodges. 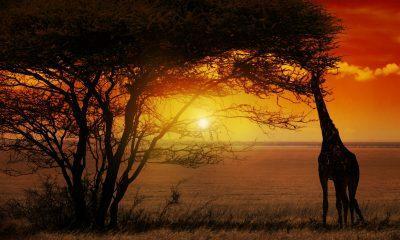 Sometimes known as the short rainy season, October and November are another quiet time of year in Tanzania. 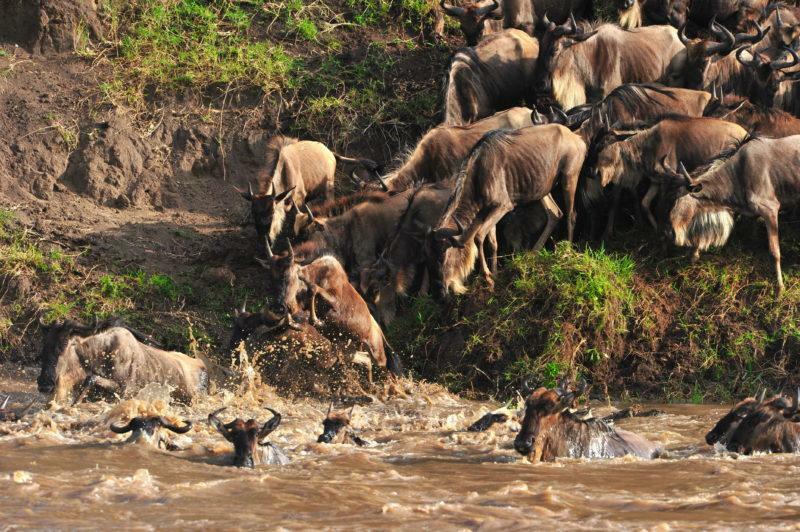 With the Wildebeest Migration in the Maasai Mara at this time of year, your chances of seeing the herd are slim. While lodges aren't as cheap as they are in the rainy season, there are less crowds in the parks. The weather is also better than in the long rainy season, making it a good time to avoid the crowds without having to deal with the rain. 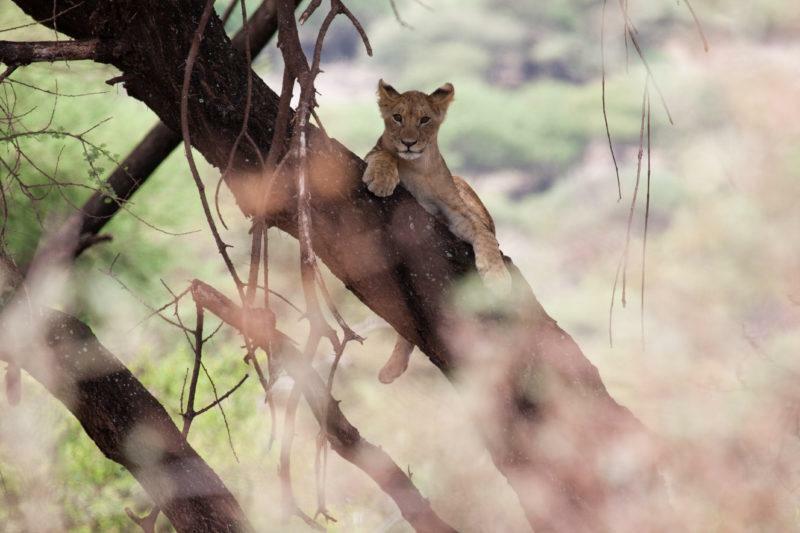 Highlights: Exploring parks such as Lake Manyara, Tarangire, and the Serengeti without the crowds. 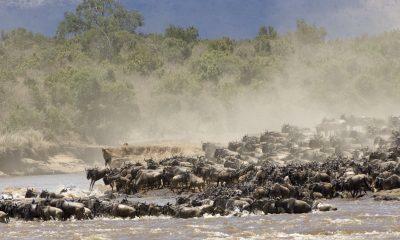 Drawbacks: The only time of year where the Wildebeest Migration is not likely to be in Tanzania. Once you have figured out what time of year you'd like to have your safari in Tanzania, it's time to figure out which parks to include in your trip. No safari to Tanzania would be complete without visiting its two crown jewels: Serengeti National Park and the Ngorongoro Conservation Area. The Serengeti is one of the world's most famous wildernesses, and plays host to the Wildebeest Migration for much of the year. 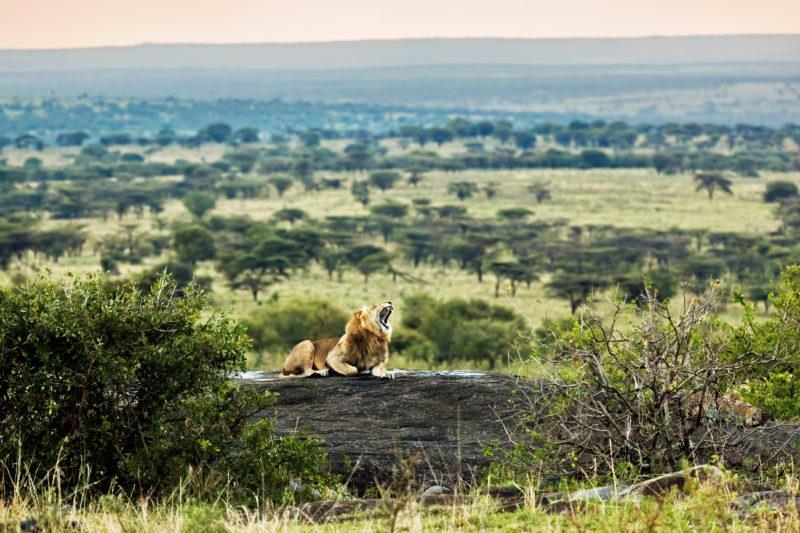 The Ndutu region is home to the annual calving season, while the Seronera region of the Central Serengeti is one of the most visited corners of the park due to its big cat population. The Grumeti Region in the park's west is home to the often overlooked Grumeti River crossing each year. 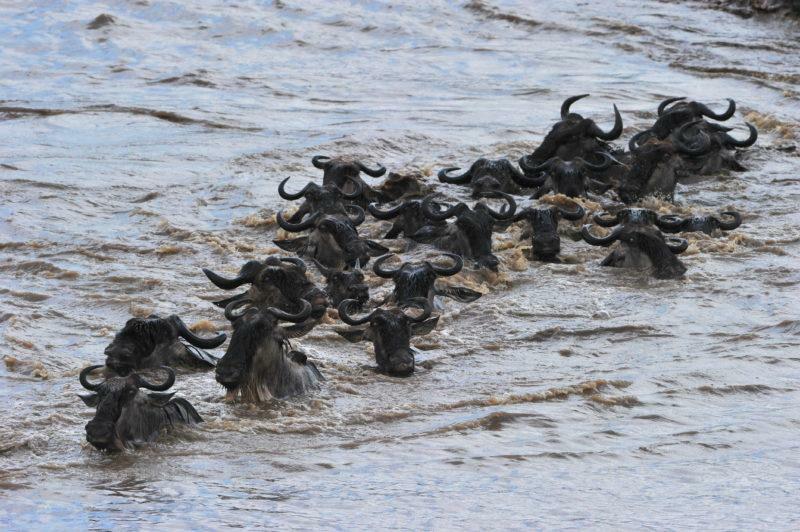 From July through to August, the Northern Serengeti is home to the high drama of Mara River crossings. This area of the park is hugely popular at this time of year. 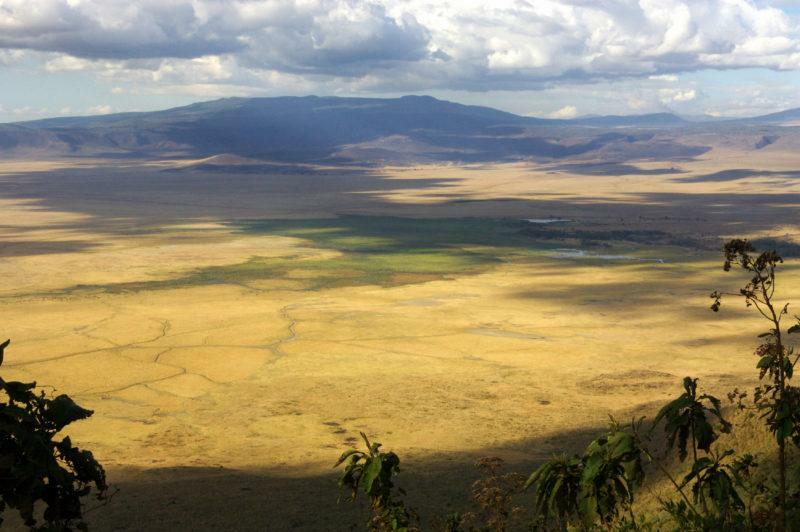 Descending to the floor of Ngorongoro Crater is every bit as iconic as a game drive out on the plains of the Serengeti. Home to Tanzania's largest rhinoceros population, Ngorongoro Crater is also a fantastic place to spot lions, elephants, buffalo, hyenas, hippos, and much more. While it is Tanzania's most expensive park, its amazing game viewing and its strategic location between the Serengeti and Arusha make it a must see in any Tanzania itinerary. Ngorongoro and the Serengeti are undoubtedly Tanzania's most popular parks, but the twin parks of Lake Manyara and Tarangire are also worthwhile additions to your Tanzania safari. In addition, nearby Lake Eyasi offers an unforgettable cultural experience. 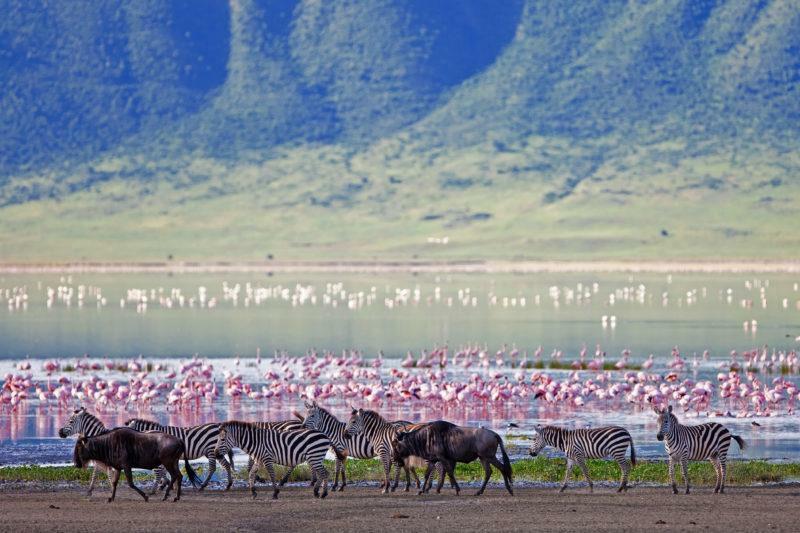 Famous for its tree-climbing lions and its variety of bird life, Lake Manyara National Park is an especially charming park during the rainy season, when its waters are home to wallowing hippos and colourful flamingos. One of the few places in Tanzania where you can embark on a canoe safari or a night game drive, Lake Manyara is a great stop off between Arusha and Ngorongoro. With its distinctive baobab trees and Tanzania's largest elephant population, Tarangire National Park is one of Tanzania's most unique parks. Especially good during the dry season when its population gathers along the banks of the Tarangire River, the park is an excellent place to spot lions, elephants, baboons, giraffes, and zebra. While it is not a national park, Lake Eyasi is nonetheless a popular addition to Tanzanian safari itineraries. Home to the Hadzabe people, Lake Eyasi offers visitors to Tanzania a unique opportunity to interact with one of Tanzania's most ancient and fascinating cultures. 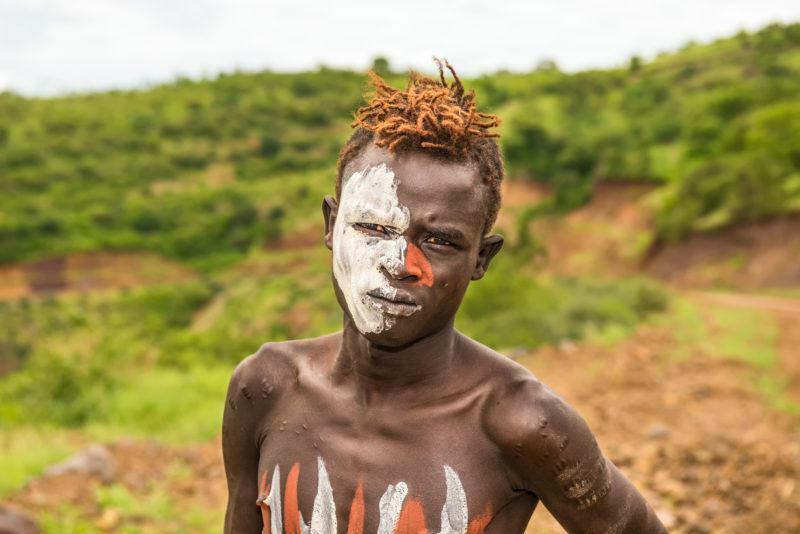 The Hadzabe maintain their hunter-gatherer lifestyle despite Tanzania's rapid development, and visitors can embark on a hunting expedition with the Hadzabe as well as experiencing village life. Many visitors to Tanzania only have 5 - 7 days to spend on safari, but for those with a little extra time, there is certainly plenty to hold your attention. 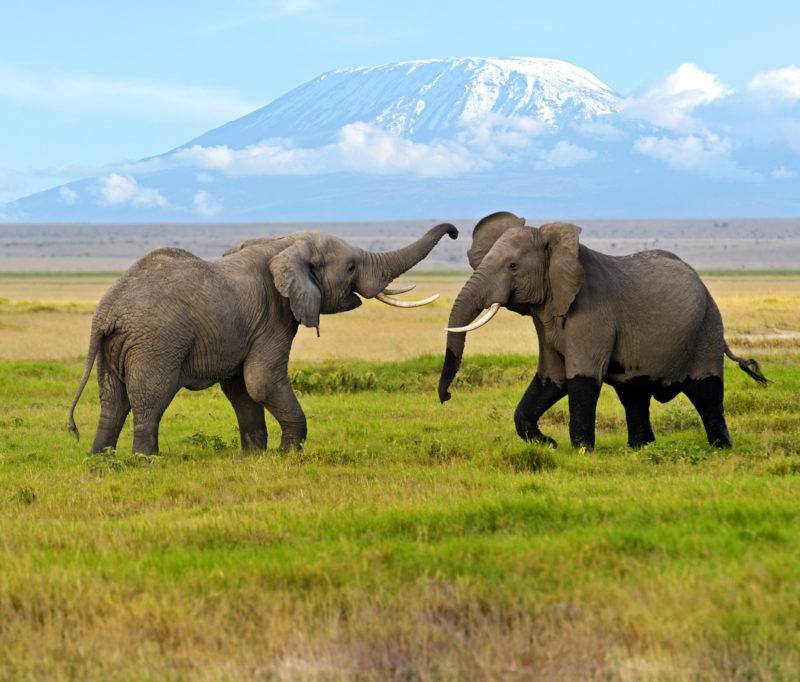 While Arusha National Park cannot boast the large mammals such as elephants or predators such as leopards and lions, the park is nonetheless a popular addition to Tanzanian safaris. The only place in Tanzania where it is possible to have a game drive, a walking safari, or a canoe safari in the same place - Arusha National Park's lack of predators makes it a charming prospect. 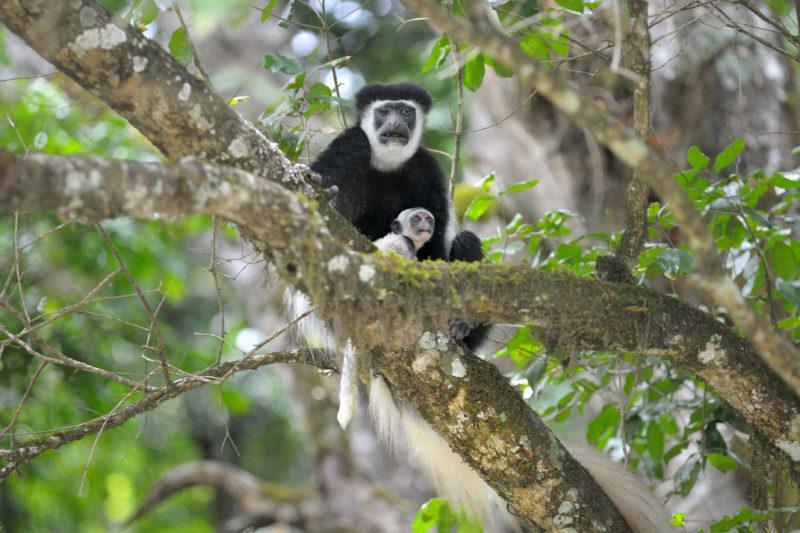 Bird-watchers and fans of primates are in for a treat, as the park is home to birds and monkeys found nowhere else in Tanzania. 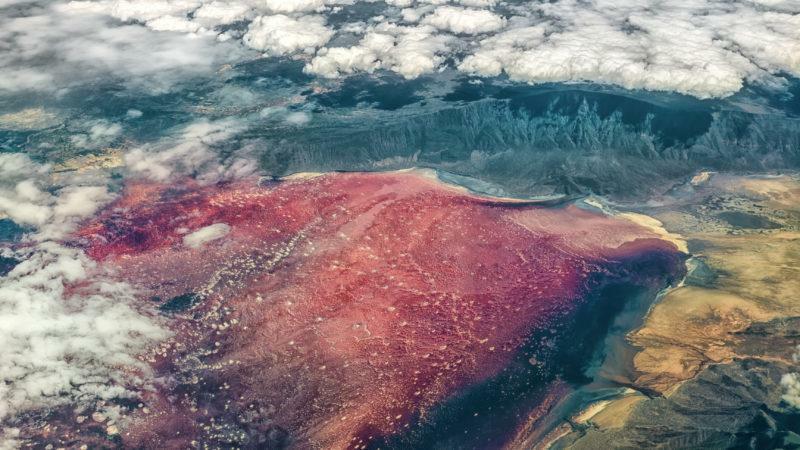 Famous for its volcanic landscape, Lake Natron is also a popular option for those wishing to see Africa's brightly coloured flamingos. While the area has less wildlife and fewer lodges than other areas of the country, Lake Natron's proximity to the Serengeti and its unique landscape make it a popular choice. 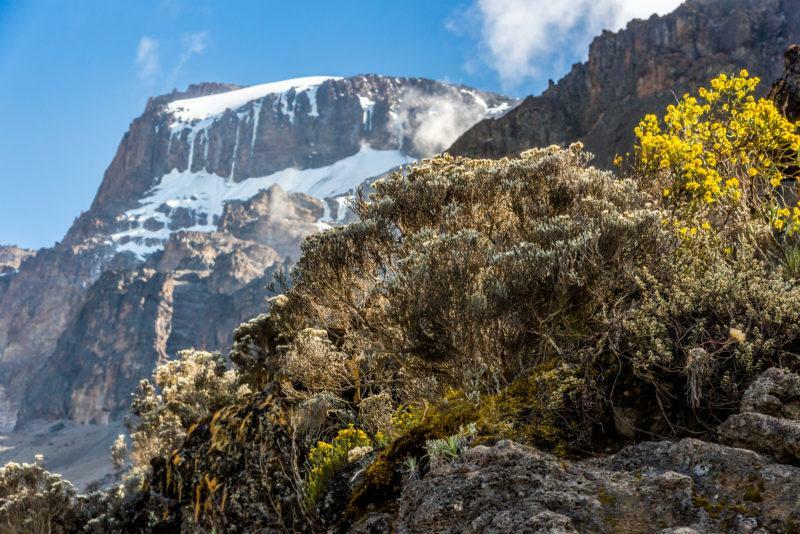 Not everybody who visits Tanzania aspires to climb Africa's highest mountain, but it's perfectly possible to visit the 'Roof of Africa' without having to climb it. Tours of the nearby town of Marangu offer a nice change of pace for those with an interest in Tanzanian culture, while the more athletic can enjoy a one day guided hike on the mountain. For those wishing to get out of the car and stretch their legs, Empaakai Crater within the Ngorongoro Conservation Area is a popular choice. Accompanied by an armed ranger, you'll wander to the rim of Empaakai Crater before descending to the shores of Lake Empaakai. 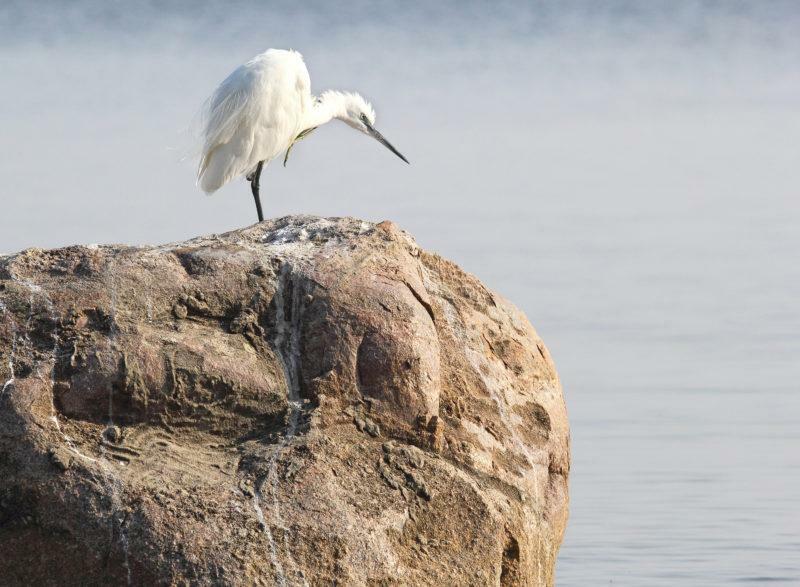 Along the way, you'll have the chance to spot a variety of bird and animal life. 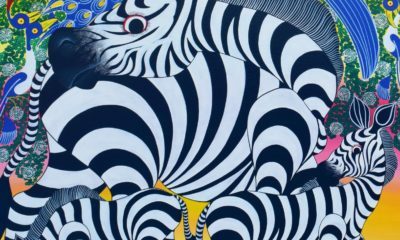 Where Can I See This Animal? 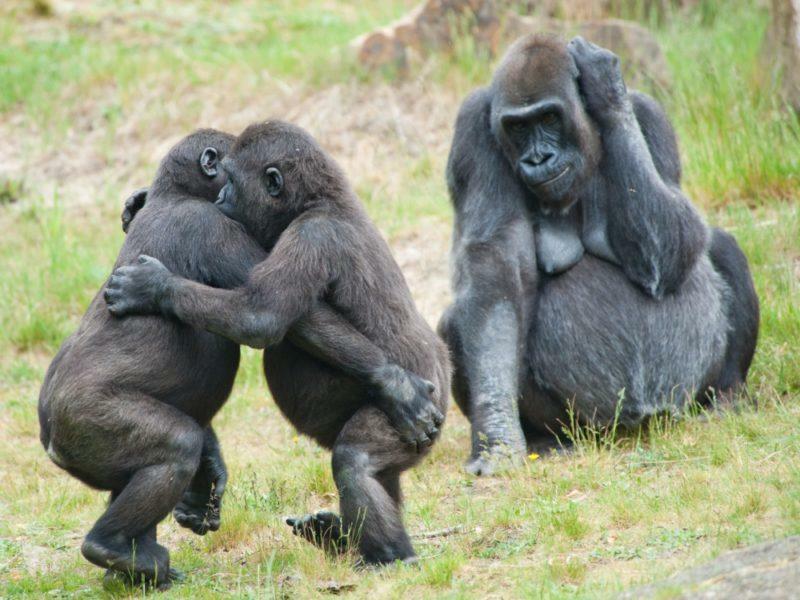 We understand that everyone has their favourite animal that they're dying to see and we can help make that happen! 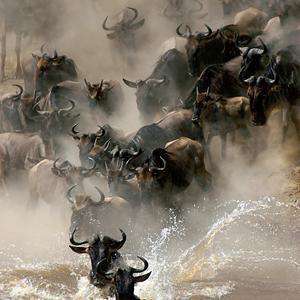 The Wildebeest Migration is an annual movement of more than 1,000,000 Wildebeest and zebras from the Ndutu region of the Serengeti to the Maasai Mara and back. A hugely popular event each year, the Migration moves across the Serengeti and can be seen throughout the year. The Big Five are Africa's most iconic animals - the elephant, lion, leopard, rhinoceros, and cape buffalo. Named for how difficult they were to hunt, these days people prefer to hunt these majestic animals with their cameras instead. The Serengeti and Ngorongoro can both boast the entirety of the Big Five, but there are parks where you're more likely to spot certain animals. 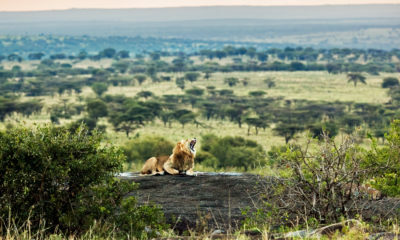 Lions: The Seronera region of the Serengeti, the Ngorongoro Crater, and Lake Manyara are the best areas to spot lions. 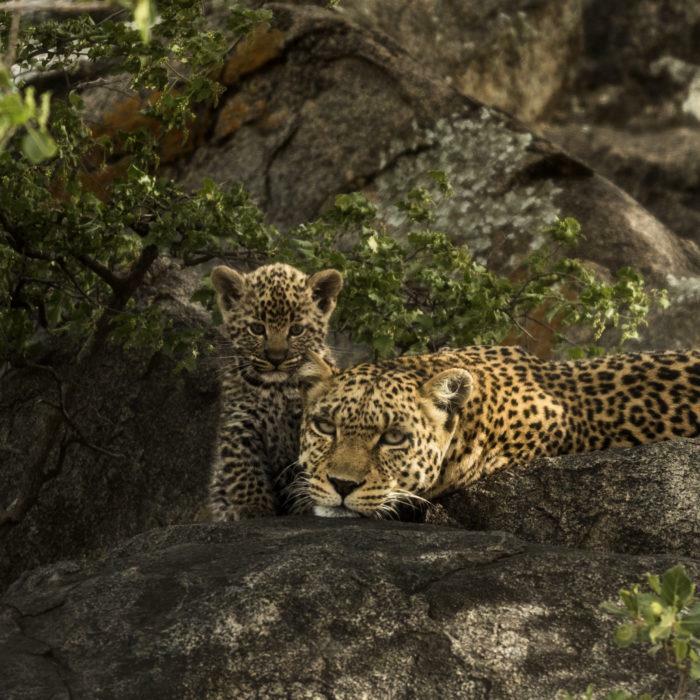 Leopards: The Seronera region of the Serengeti is your best chance to see leopards. 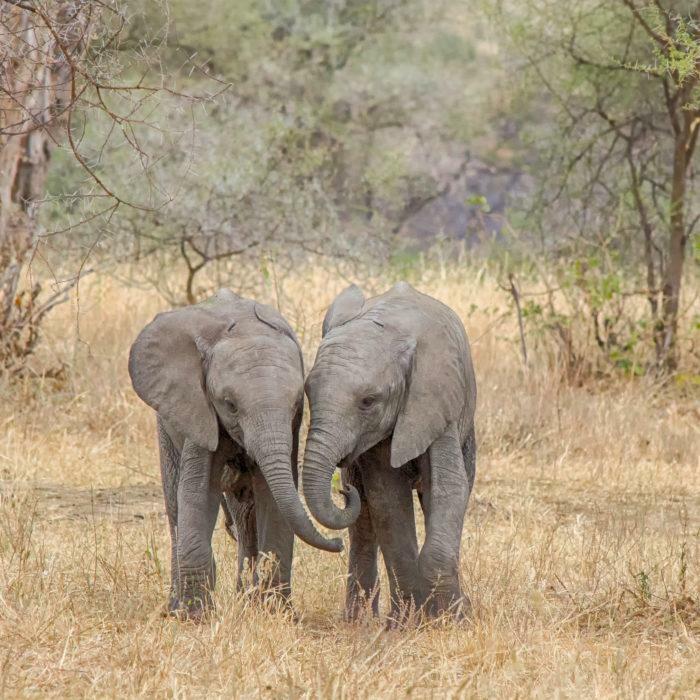 Elephants: Tarangire National Park is home to Tanzania's largest elephant population. Ngorongoro Crater also has plenty of elephants. Cape Buffalo: The most common of the Big Five is best spotted in Ngorongoro Conservation Area, but can be seen in most of Tanzania's parks. 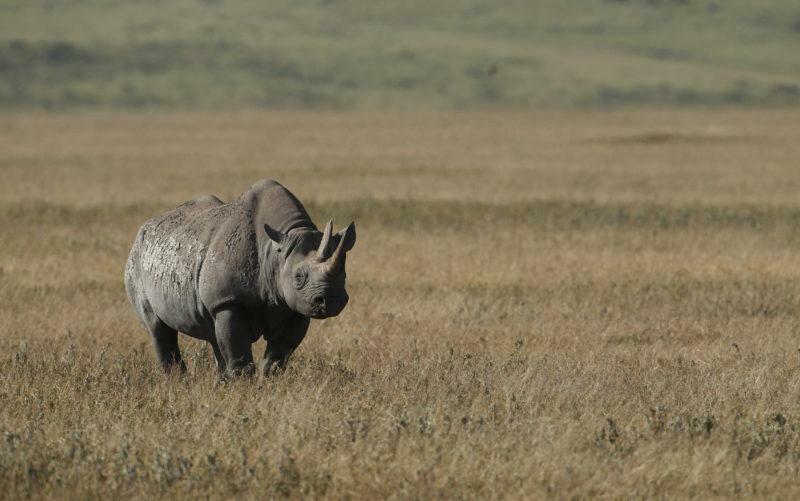 Rhinoceros: Ngorongoro Crater offers the best opportunity to see the most endangered of the Big Five. The brightly coloured flocks of flamingos are difficult to find, as their movements are both seasonal and affected by water levels and water salinity. Lake Natron is the most popular place to spot flamingos in Tanzania, but they can also be seen in Ngorongoro Crater and Lake Manyara at certain times of the year. Lake Bogoria in Kenya is generally the best place in East Africa to see flamingos. 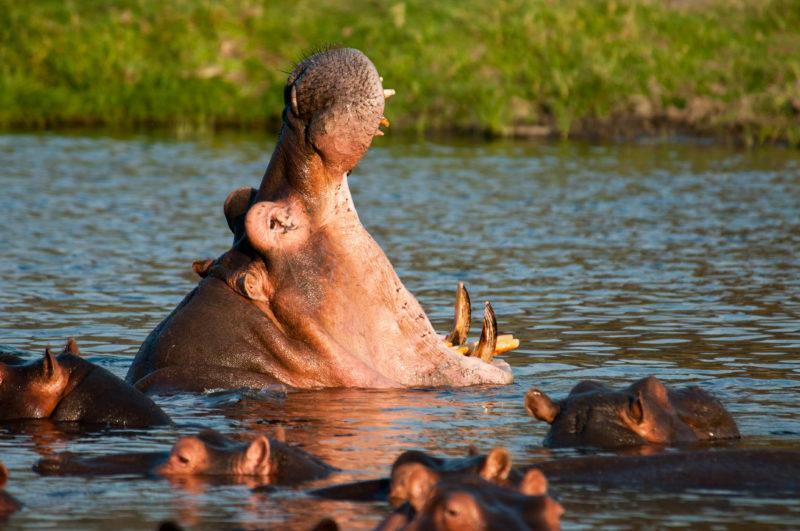 Wallowing hippos are a popular (and pungent) sight on safari. The best places to see hippos are the Serengeti, Ngorongoro Crater, and Lake Manyara during the wet season. 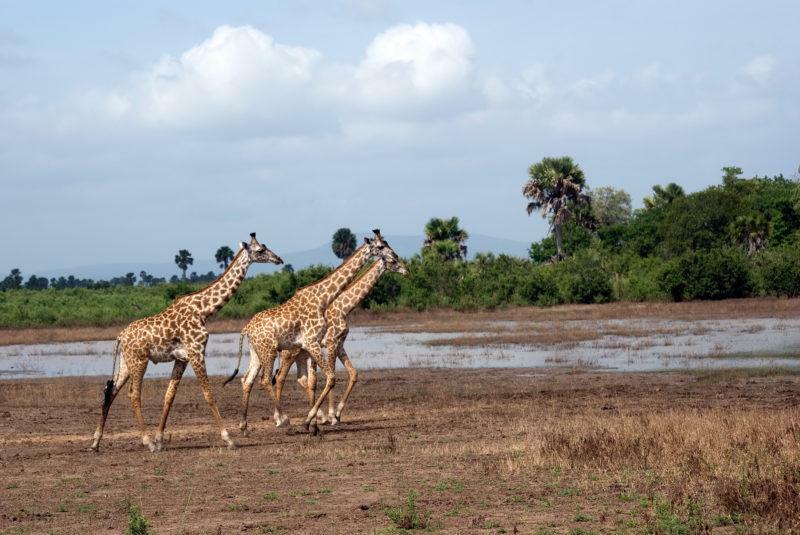 Giraffes and zebras can be seen virtually everywhere in Tanzania. Arusha National Park is home to Tanzania's largest giraffe population. Bird-watching is fantastic across all of Tanzania's national parks, but Lake Manyara and Arusha National Park are generally considered to be the best destinations for birders. While many of Tanzania's national parks are home to baboons, the best place to see a variety of primates is undoubtedly Arusha National Park where black and white colobus monkeys are an especially popular sight. 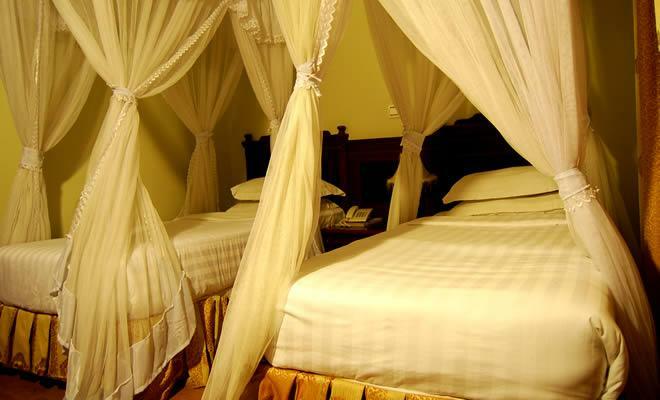 There are accommodation options for all budgets in Tanzania. From roughing it out on the plains of the Serengeti in a public campsite to living in the lap of luxury, there's something for all walks of life. For those on a budget or with a thirst for adventure, Shadows of Africa can arrange camping safaris in all of Tanzania's major parks. Camping in the Serengeti and the Ngorongoro Conservation Area are especially popular options, and we'll provide all of the camping equipment as well as a private chef to ensure you're eating well. You'll set up camp in a public area with communal kitchen and bathroom facilities and camp out under the stars. While budget lodges are rarely within the park boundaries, towns such as Arusha and Karatu offer a number of options for those on a tight budget. Budget lodges offer a comfortable place to sleep without fancy frills. Some of our most popular budget lodges include McElly's in Arusha and Eileen's Trees Inn in Karatu. For the true Tanzanian safari experience, you can't look past a traditional tented camp. Seamlessly blending the comforts of a lodge with the rustic charm of camping, tented camps are an affordable way to live right at the heart of the action. 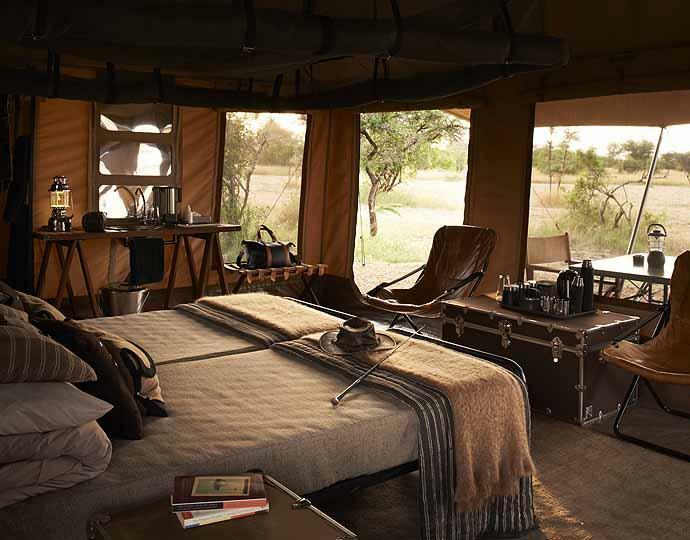 A tented camp features things such as private bathrooms with hot showers, comfortable double beds, and delicious food. 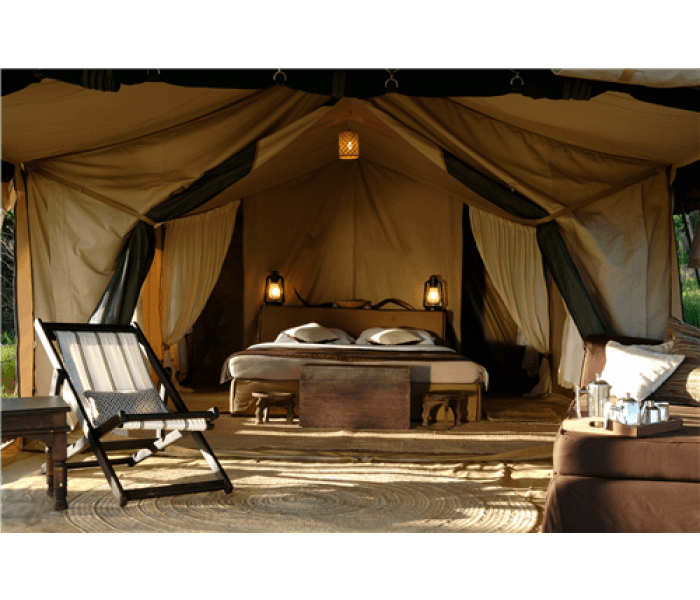 Our most popular tented camps include Sangaiwe in Tarangire, Kati Kati in the Central Serengeti, and Kenzan Tented Camp in the Northern Serengeti. Offering something a bit more unique than you'll find in budget lodges, standard lodges offer a memorable night's stay without breaking the bank. Usually located on the fringes of the park, they offer a quick way to enter and exit the park without having to pay park fees. Popular standard lodge options include Country Lodge in Karatu, Moivaro in Arusha, Ngorongoro Wildlife Lodge, Lake Manyara Wildlife Lodge, and Sopa Serengeti. 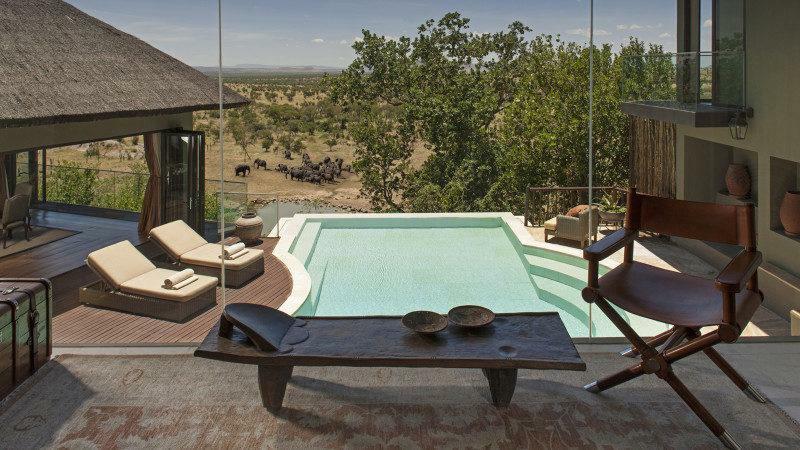 For those wanting something truly memorable from their safari, it's hard to look past some of Tanzania's luxury lodges. From affordable luxury properties such as Serena to exclusive properties like the Four Seasons Safari Lodge or &Beyond's Crater Lodge, there are luxury lodges for all walks of life. 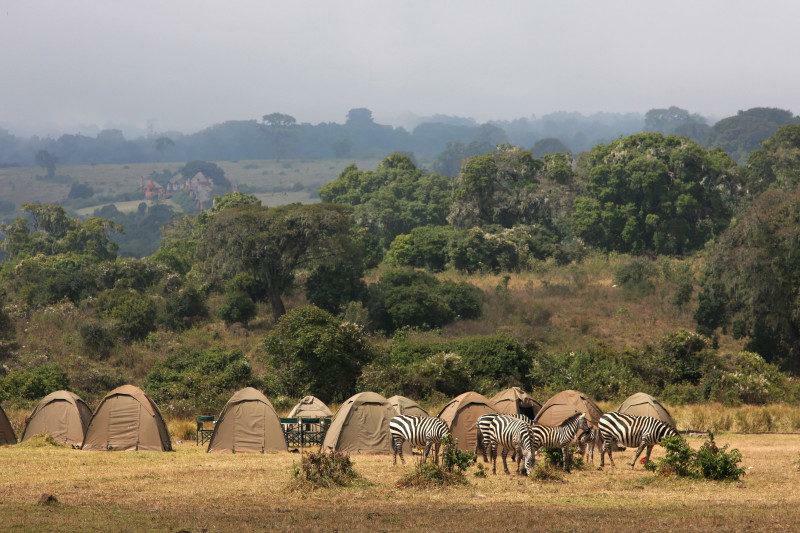 Similar to a tented camp, a luxury tented camp has all of the trimmings you'd expect in a luxury lodge but with the added charm of being closer to nature. From the affordable luxury of Angata to more extravagent properties such as Lemala and Mbuzi Mawe, a luxury tented camp is a fantastic way to make your stay in Tanzania a memorable one. 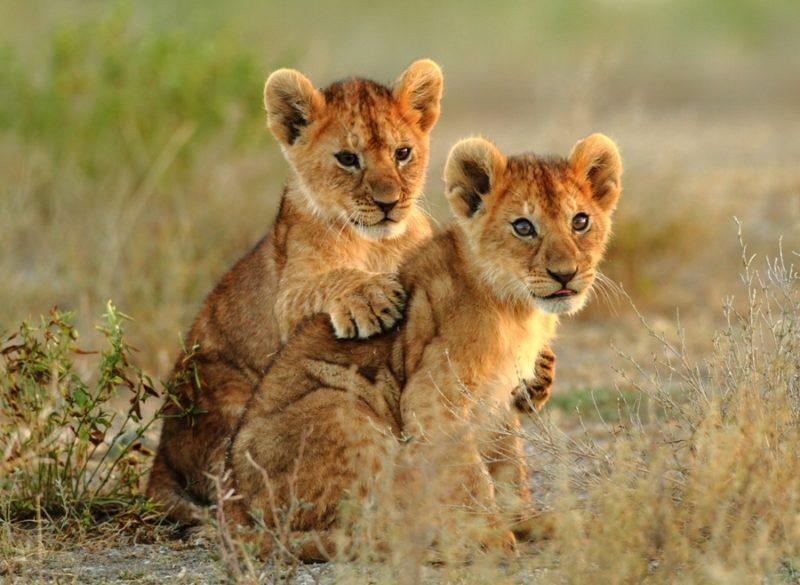 What activities can you include in a Tanzanian Safari? There is more to a safari in Tanzania than just game drives. While there are few things that can match the thrill of driving across the open plains and spotting your favourite African wildlife, there are a number of ways to take a break from the car. Trading the car for a canoe out under the open air can be a great way to see Tanzania from a unique perspective. 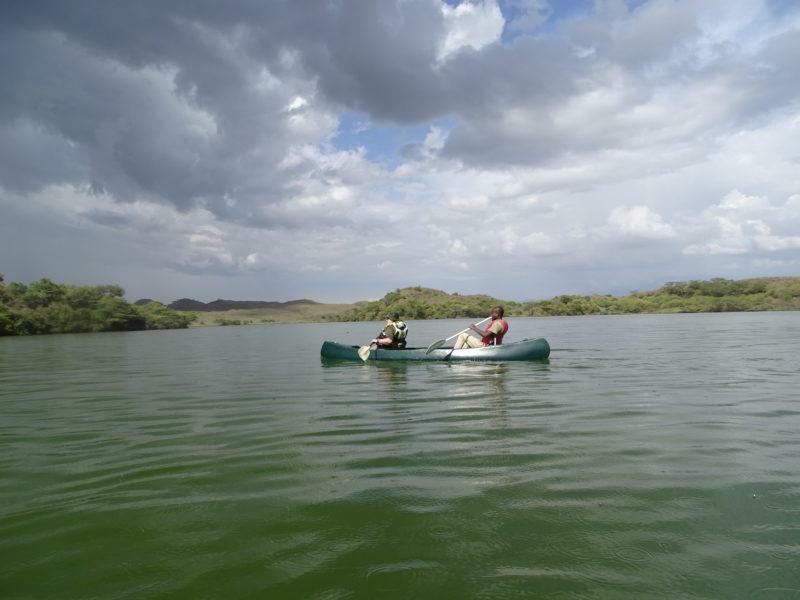 Available in Lake Manyara National Park and Arusha National Park (when water level allows), a canoe safari gets you up close and personal with hippos, buffalo, and a huge variety of bird life. The image of walking out on the open plains of the Serengeti is a nice one, but walking safaris are only possible in a few select locations in Tanzania. With large predators and large herbivores being unpredictable and potentially dangerous, it is rarely safe to walk in Tanzania's national parks. 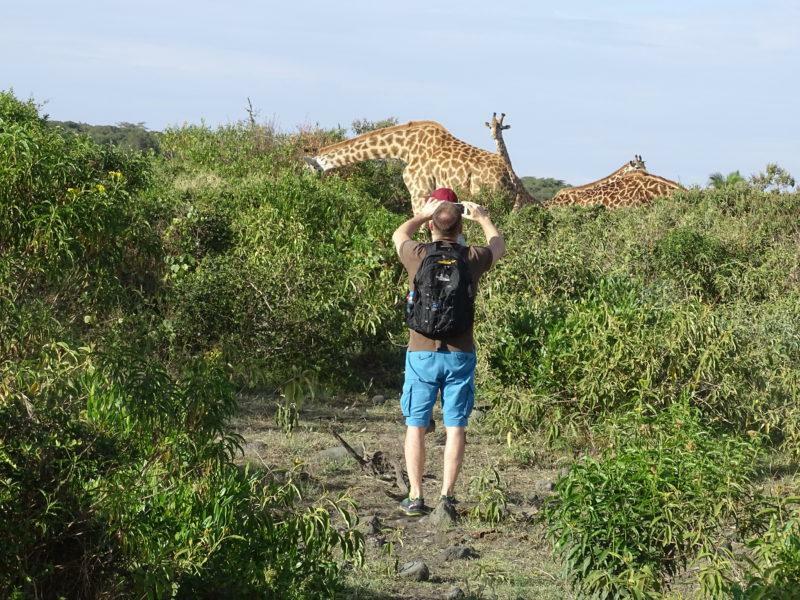 However, it is possible to take guided walks in Arusha National Park, the Ngorongoro Conservation Area (but not Ngorongoro Crater), and on the properties of certain camps and lodges within the parks. 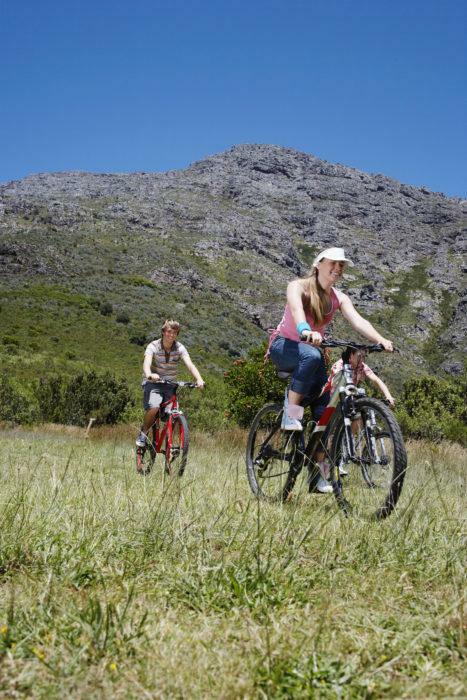 While cycling is not allowed within Tanzania's national parks, there are a number of places in Tanzania where you can supplement your game driving with some fascinating cycling tours. 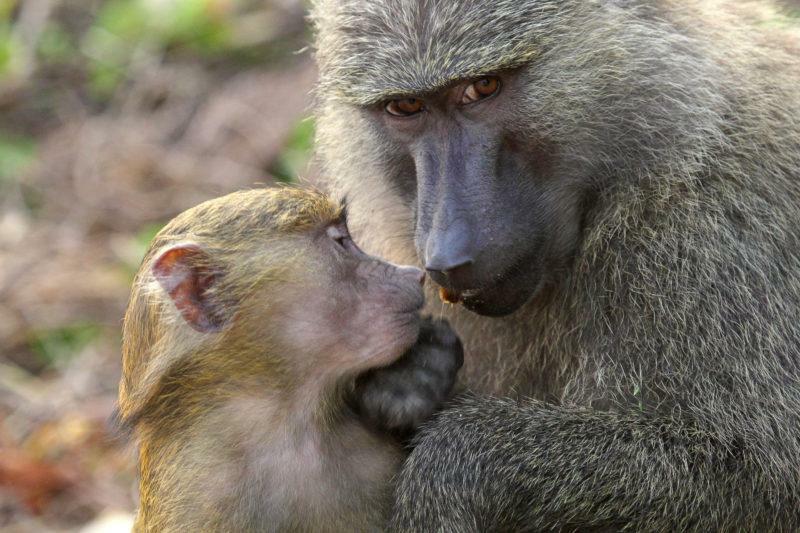 The most popular of these tend to be near Lake Manyara National Park and in the villages surrounding Mount Kilimanjaro. Experiencing some of Tanzania's unique tribal culture is a great way to add something distinct to your Tanzanian safari. There are a number of ways you can include a cultural tour in your safari in Tanzania. 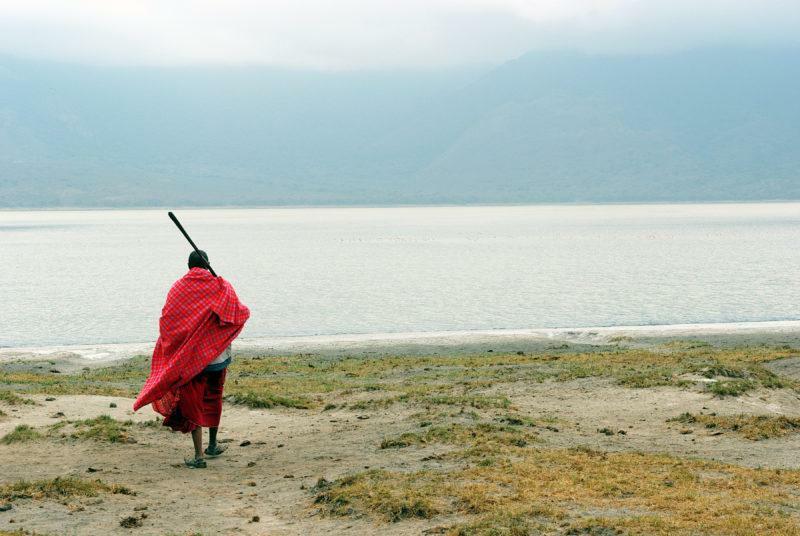 The most famous of Africa's tribes, the Maasai are a common sight when driving between Tanzania's national parks. 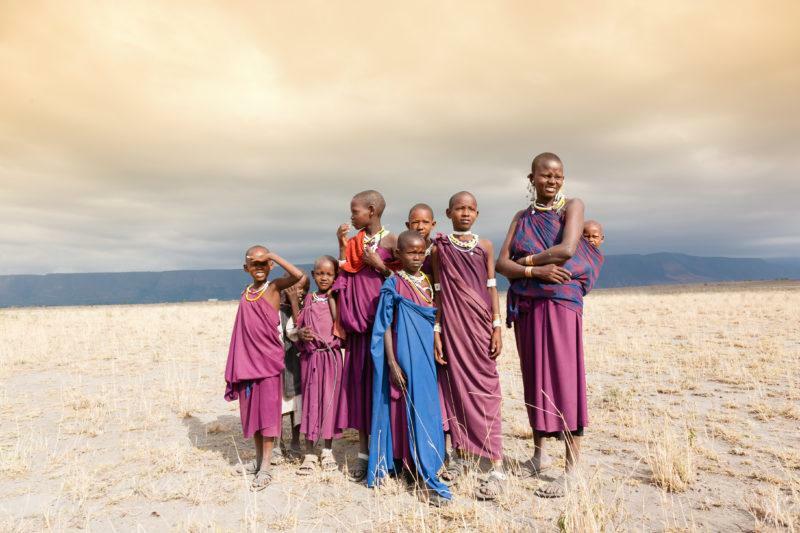 While it is possible to pay for a photo with a Maasai child or warrior at the entrance to some national parks, a better way to experience Maasai culture would be to arrange a visit to a Maasai village or spend a night at the Africa Amini Maasai Lodge. 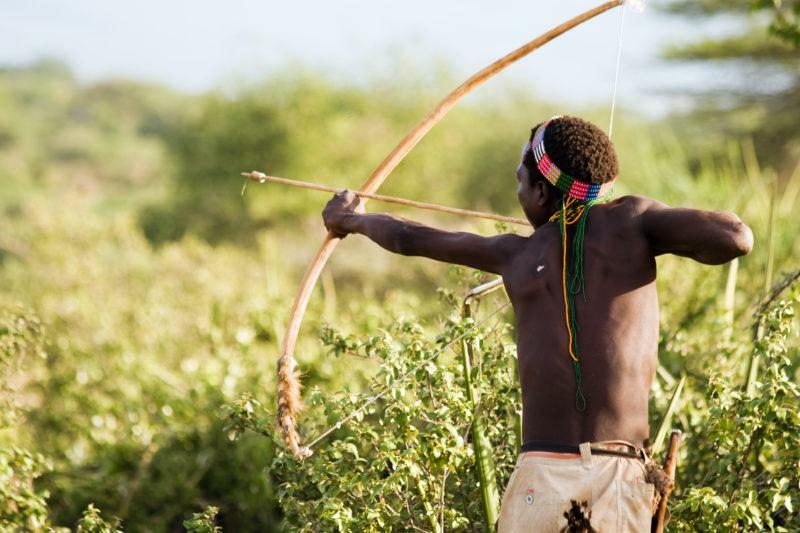 The Hadzabe hunter-gatherers are one of the most fascinating cultures in Tanzania and many of our safari itineraries include a visit to Lake Eyasi to learn more about their culture. The nearby Datoga Tribe are also a unique element in Tanzania's cultural tapestry. 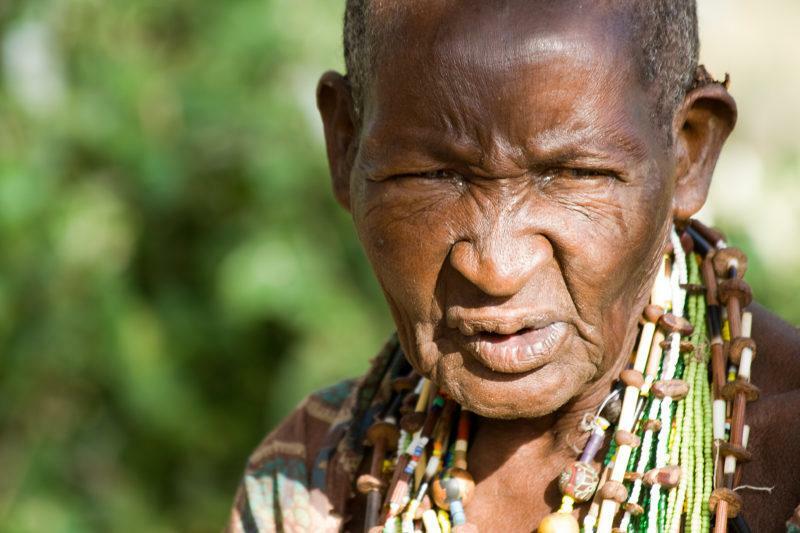 While not as famous as the Hadzabe or Maasai, the Chaga tribe from the Kilimanjaro foothills have an intriguing history all of their own. A tour of Marangu town can include a visit to the Chaga Cultural Museum and the Chaga tunnels where Chaga Warriors used to elude Maasai raiding parties. Night game drives are not usually permitted within Tanzania's national parks, but it is possible to include a night game drive when overnighting at Lake Manyara National Park. While night game drives present the opportunity to see nocturnal animals and predators on the hunt, the darkness does make it difficult to spot things. Soaring above the Serengeti at dawn is an unforgettable experience and it's all capped off with a delicious champagne breakfast in the heart of the wilderness. So, you've designed your dream Tanzania safari itinerary and you're all ready to go - but what do you need to pack? Read more about what to pack for a safari. While all of our Shadows of Africa safari itineraries cover the important things such as accommodation, meals, park entry fees, and game drives - there are always additional costs that might pop up. Things such as alcoholic beverages, souvenirs, snacks, laundry, and tips for your driver are examples of a few additional costs that might arise during your safari. Tanzania uses the US Dollar for tourism. We recommend budgeting around $30 - $50 USD per day for incidental expenses and tips. Tipping is customary in Tanzania. We recommend tipping $20 USD per day to your safari driver (per group, not per person), $10 - $15 USD per day to your safari cook (when camping), $20 USD per day to your Kilimanjaro climbing guide, and $10 - $15 USD per day to your Kilimanjaro climbing porters. You can pay this all at once at the conclusion of your safari or Kilimanjaro climb. Preparing to depart for your safari needn't be a stressful affair. 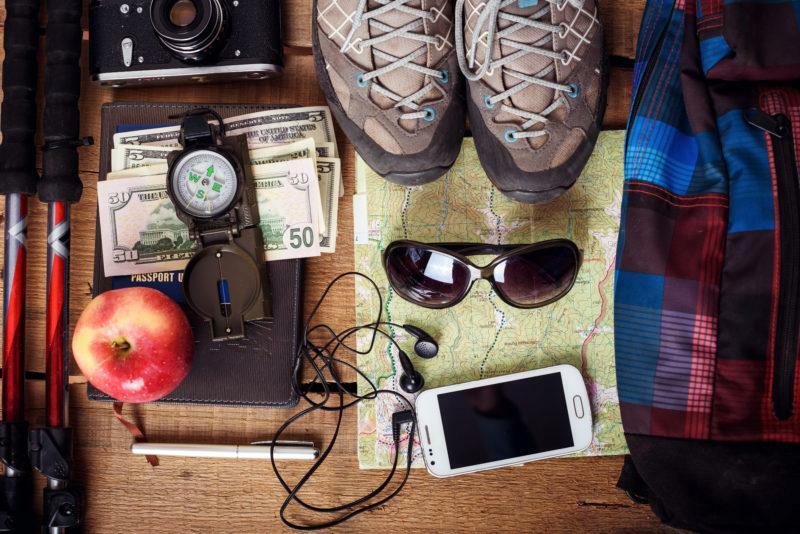 In addition to ensuring you're packed and ready to go, there are a few other things you'll want to arrange ahead of your trip. While all Shadows of Africa safaris include complimentary Flying Doctors Insurance, this only covers emergency evacuations. Medical expenses, lost luggage etc. 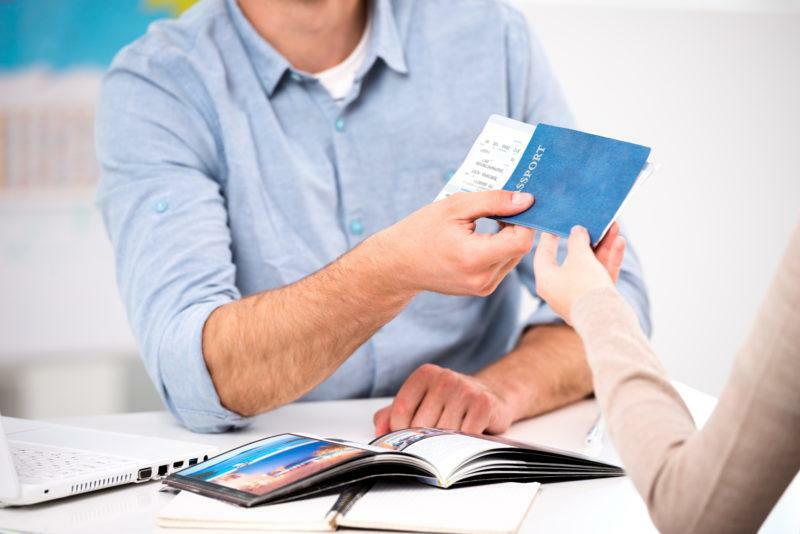 are all things that you'll want a comprehensive travel insurance plan to cover. Tanzania provides visas on arrival for most nationalities at a cost of $50 USD per person. You'll need to bring along two passport sized photos, $50 USD, and fill out the paperwork upon arrival at the border or airport. Alternatively, you can get your visa ahead of time by sending your passport to the consulate or embassy in your home country. Read more about how to get a Tanzanian visa. Tanzania is a safe country and health risks are relatively low, but there are still a number of vaccinations you should get ahead of your trip. If you are entering Tanzania from a country with Yellow Fever, you'll also need a Yellow Fever vaccination card in order to enter Tanzania. If time allows, why not extend your Tanzanian safari by visiting one of East Africa's other popular attractions? 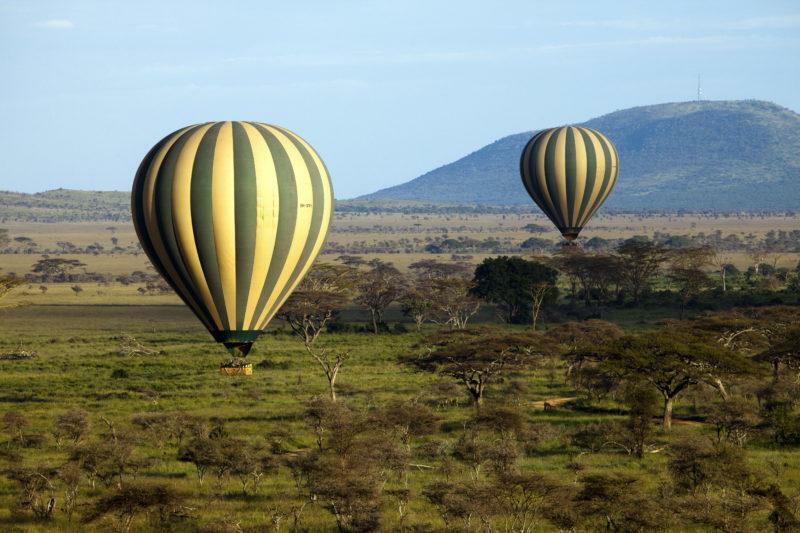 East Africa's premier playground is just a short flight from Arusha. It's even possible to fly directly from the Serengeti to the white sand beaches of Zanzibar. 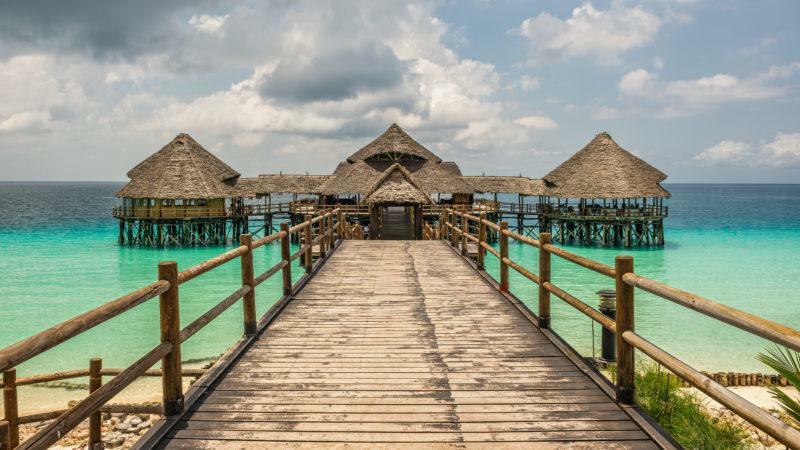 Adding on a few days to explore historic Stone Town and experience the beaches of Zanzibar is a great way to finish your safari. Kenya and Tanzania have a great deal of similarities when it comes to wildlife and national parks, but Tanzania's northern neighbour has plenty to offer if you're planning to extend your safari. Witnessing the Wildebeest Migration is possible on the Maasai Mara during September - November, while parks such as Lake Nakuru National Park, Amboseli National Park, and Tsavo offer unique game viewing as well. A day trip to Nairobi or Ol Pejeta Conservancy is a great addition if you're traveling with kids, while Lake Naivasha and Hell's Gate National Park offer fun outdoor activities such as walking safaris, cycling, and rock climbing. Famous for its gorilla trekking and its dark history, Rwanda is a great addition if you'd like to see mountain gorillas, golden monkeys, or chimpanzees. Bustling Kigali is a fascinating place to visit if you're interested in Rwanda's history, while Volcanoes National Park is a must see for gorilla trekking, golden monkey trekking, and volcano hikes. Beautiful Lake Kivu is a great place to get away from the crowds and relax. 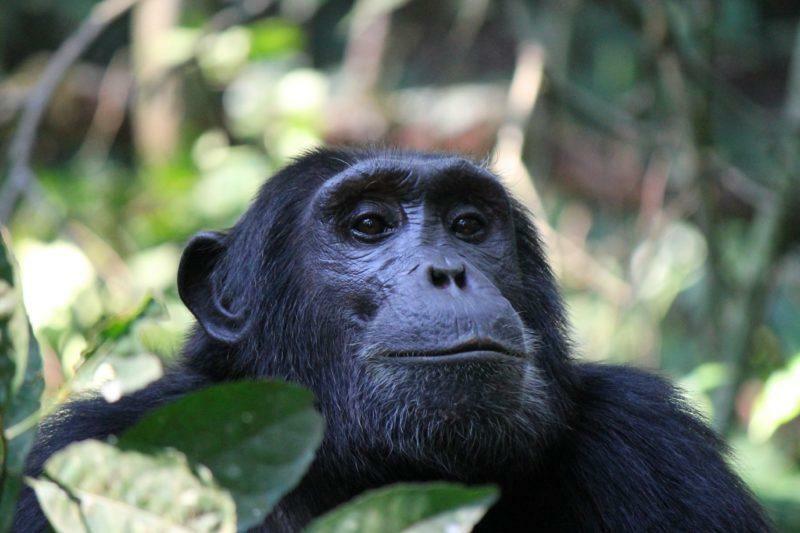 Wild and untamed Uganda offers world-class chimpanzee trekking, affordable gorilla trekking, the opportunity to overnight on the banks of the Victoria Nile or Lake Victoria, and some fantastic game drives in parks such as Queen Elizabeth National Park. For those wanting a truly unique addition to their Tanzanian safari, mysterious Ethiopia is the place to go. Ancient historic sites, unique wildlife, dramatic landscapes, and amazing food make Ethiopia one of Africa's best-kept secrets. Don't hesitate to send us an email at info@shadowsofafrica.com if you have any questions or if you're ready to make your safari dream a reality. 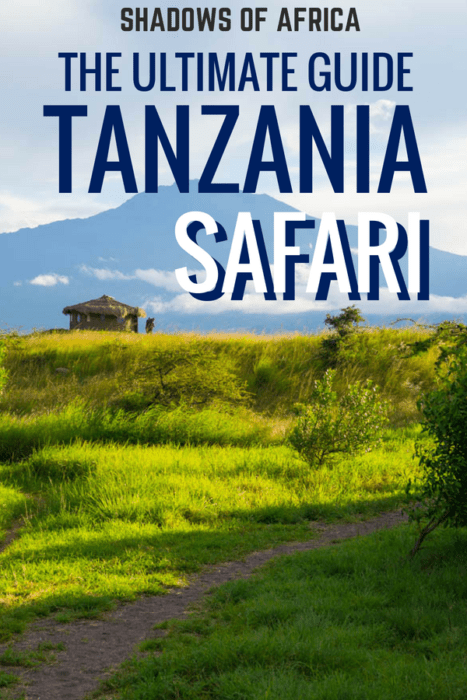 This entry was posted in Tanzania, Latest Post and tagged tanzania safari, how to plan a tanzanian safari, how to plan a safari, safari to tanzania, tanzania safari itinerary.